Add a custom WooCommerce form to your product pages. Create your WordPress form however you would like, add a calculation to generate the total, and select your form in the sidebar box on the WooCommerce page. The product price used in your WooCommerce cart comes from the last calculation field in your form. This add-on requires the Formidable Forms Pro WordPress form builder plugin. If you haven't already done so, install and activate Formidable Forms Pro. In your WordPress admin, go to 'Formidable' → 'Add-Ons' and click the 'Install' button for the WooCommerce integration plugin. Create a form. You'll need a calculation somewhere in your form to link up with the WooCommerce price.This can be done by creating a Single Line Text or Number field, labeling it "Total" and checking the box for calculations. No need to put anything in the calculation for now. Create a WooCommerce product. The product should set the base price of the product. On the edit product page, add the form using the Choose a Form select box in the sidebar. Now save your product. 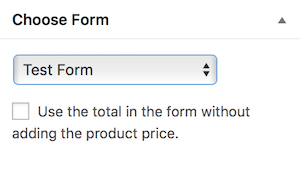 Optionally, if you want your form calculation to ignore WooCommerce's calculations, you can check the box that says Use the total in the form without adding the product price. 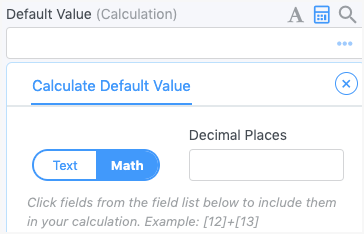 (Optional) If you want to add additional calculations (such as a flat fee) to WooCommerce's calculations, you can create additional fields in your form, and add them to your calculations field. Finally, your form will show when you view your product page, and adjust the prices of the items you add to your cart. Use the following code to add the Woocommerce order ID to a field in a Formidable form after the order is placed in Woocommerce. You will need to add a hidden field to your form. After a checkout is completed, the order ID will be added to the hidden field. 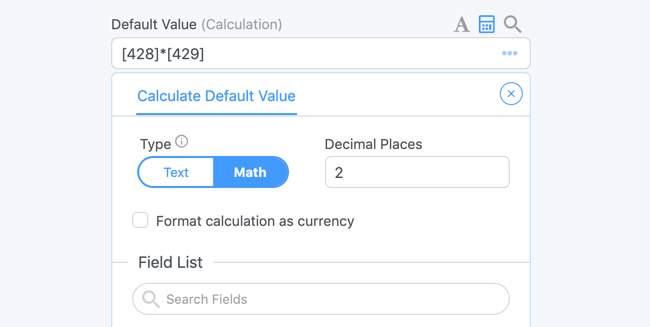 Replace 25 with the ID of your form and replace 123 with the ID of the hidden field. Use the following code to change a field value after a Woocommerce order is completed. Replace 25 with the ID of the form to update, replace 100 with the field ID to update, and replace 'Complete' with the new value you would like to use. Please note: You must have a default value submitted in the field in order for this function to work. WooCommerce includes the normal variation labels as part of the name in the cart. If your product uses both WooCommerce variations and a Formidable form, include this line to show the WooCommerce variations in the cart. Change 'iw7oc' to your quantity field's key. This snippet can be placed in your form's "Settings" > "Customize HTML" > "After Fields" box. To add specific field types to the Woocommerce order and cart see the example to modify field types in order. To determine if a field should show in the Woocommerce cart, use the example to include or exclude fields in cart. See the wc_fp_cart_item_data hook for examples.